This weekend, The Noxcrew had the honour of being invited to the Minecon Earth viewing party in London! 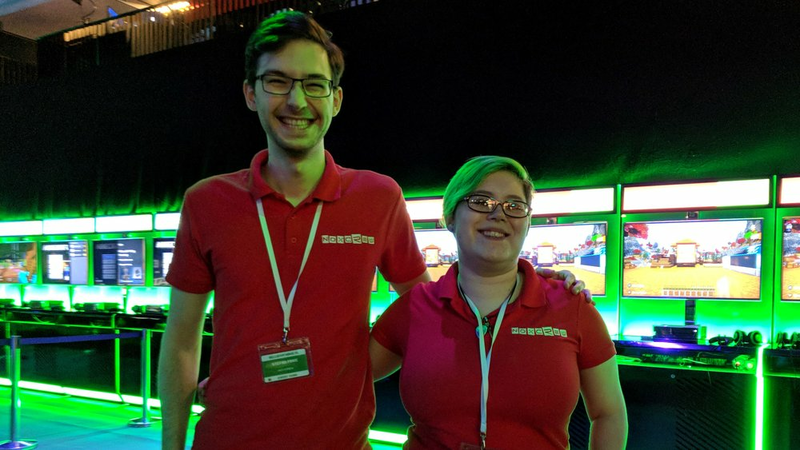 Noxite (Noxcrew's leader) and Noctis (Our community manager) spent the day at the Copperbox arena, greeting guests and playing our Destructobot5000 and Autumn Mini-Games Festival maps with them at the Noxcrew Xbox booth. As you can see by their smiling faces, they had a fantastic time and we're excited to attend more Minecraft events in the future! If you missed out on MINECON Earth, you can still watch the full stream below.